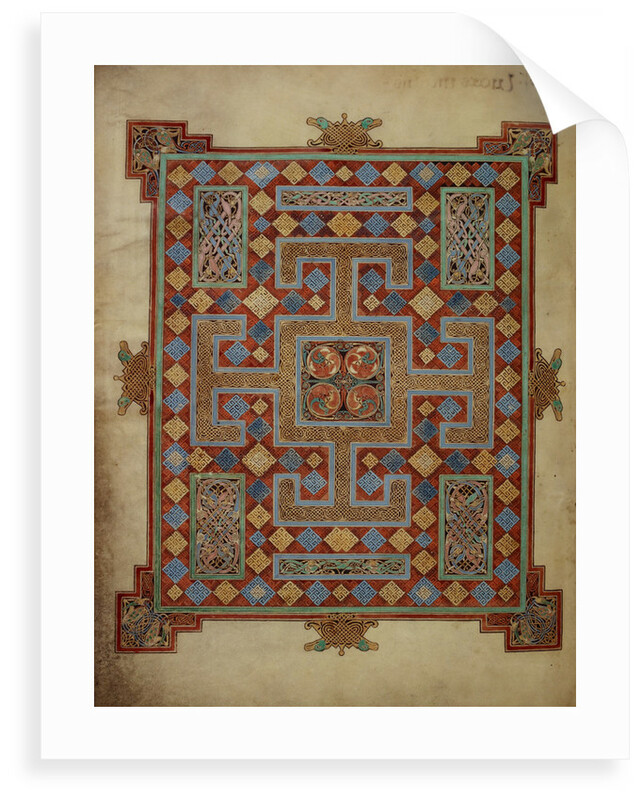 A carpet page from the Lindisfarne Gospels, from the beginning of St Luke's Gospel. 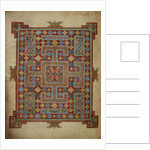 It is known as a carpet page due to the rich, ornate abstract patterns whose mix of detail and large-scale effect is similar to that seen on high-quality carpets. 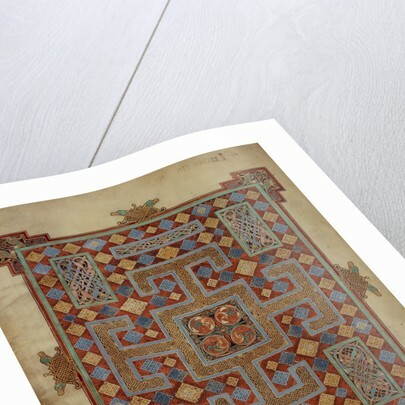 This particular carpet page features linear patterns and ornaments which resemble metalwork. 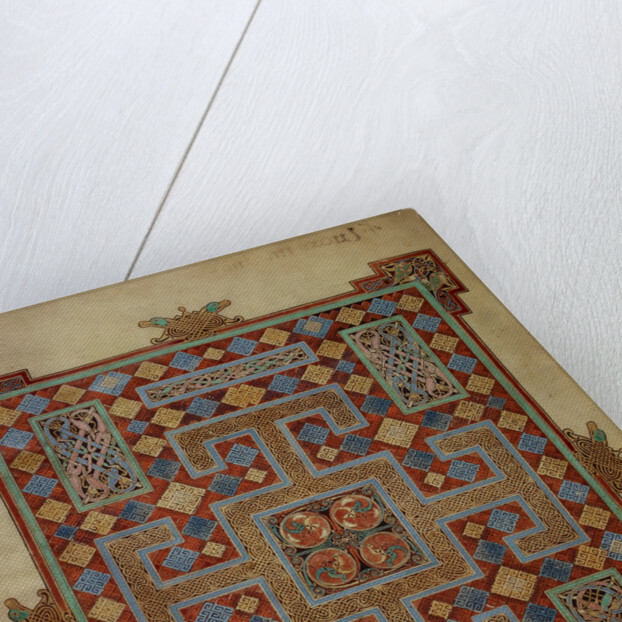 The page is from the Lindisfarne Gospels, one of the most magnificent manuscripts created in the Middle Ages. 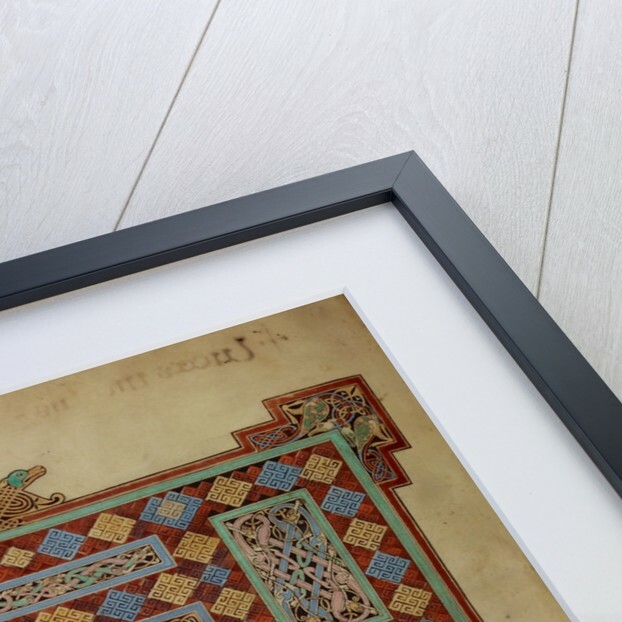 It was written and decorated at the end of the 7th century by the monk Eadfrith, who became Bishop of Lindisfarne in 689 and died in 721.